To this day, pirates’ wild spirit lies asleep in all our hearts. Roaming the seas in search for hidden treasures is, in the end, a quest for independence and freedom; a quest as genuine and contemporary as ever. And though when we think of said treasures, we envision sunken chests, full of precious jewelry, gold or artifacts, they would often hide a somewhat more precious find. A loot so valuable it even joined gold as an accepted currency. A treasure that startled the spirit of men, fueling fights and celebrations, enjoyed by both royalty and motley crews of pirates. Nelson’s blood, Demon Water, Navy Neater, MATA DIABLO (Spanish for Devil Killer), or as we know it today: Rum, the perfect embodiment of the joys of living free. 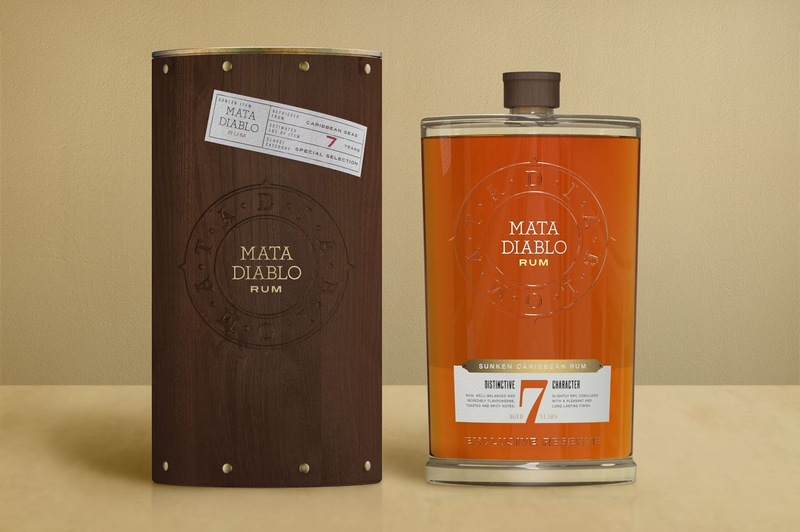 Mata Diablo Rum is a celebration of this drinks’ flamboyant and romanticized history and its journey through times. From the hands of slaves who discovered the fermentation of molasses to the decks of commercial traders roaming the Caribbean seas, fought over by daredevil pirates and their eternal foes of the Royal Navy. From sunken chests at the bottom of the seas to the tables and pockets of both kings and common folk alike. 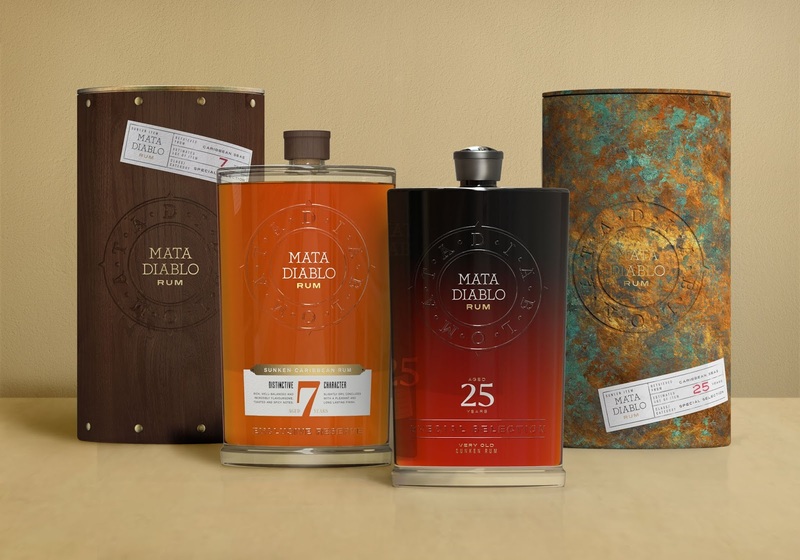 Mata Diablo is created respecting the oldest rum recipes and distilling techniques, only using the finest ingredients from the Caribbean. 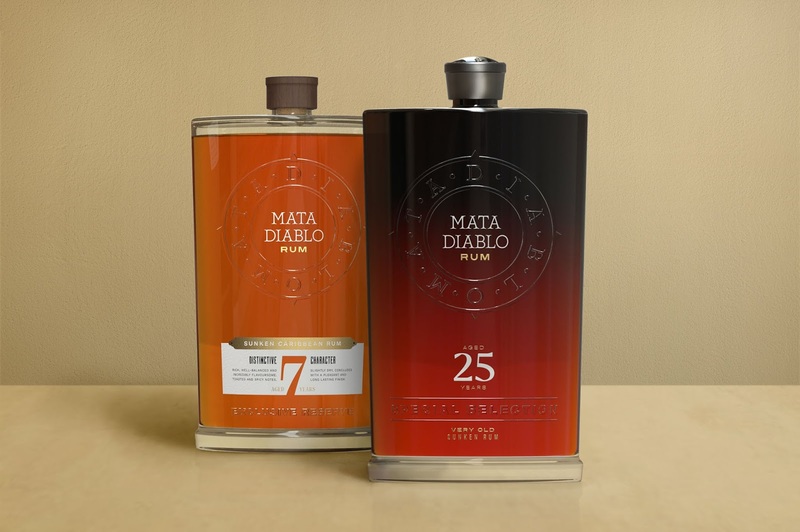 The brand presents a 7 years old exclusive reserve and a very old 25 years old special selection. 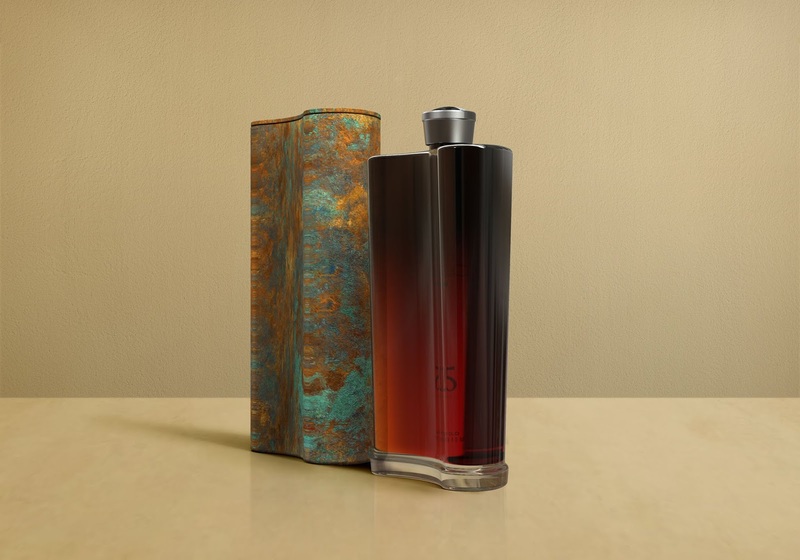 With its pocket flask shaped bottle (a shape made famous with the invention of pockets in the 17th century), the elegance and transparency of its body is accentuated by its curved shape, sturdy base and short top. 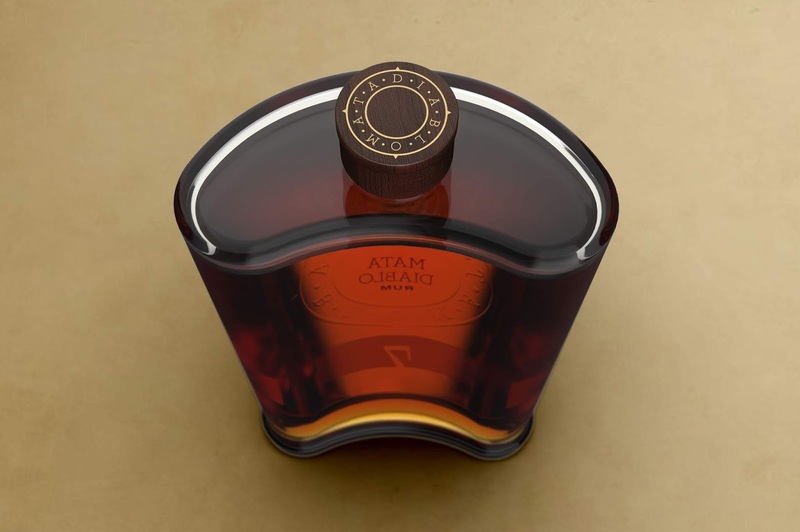 A compass embossed in the center of the bottle shows us the way to the pleasures of this aged rum. The graphic language is classic yet modern, just like the drink itself. An etched wooden top and an engraved silver cap are the final “obstacles” to finally enjoy this sweet and eluding discovery — until today. 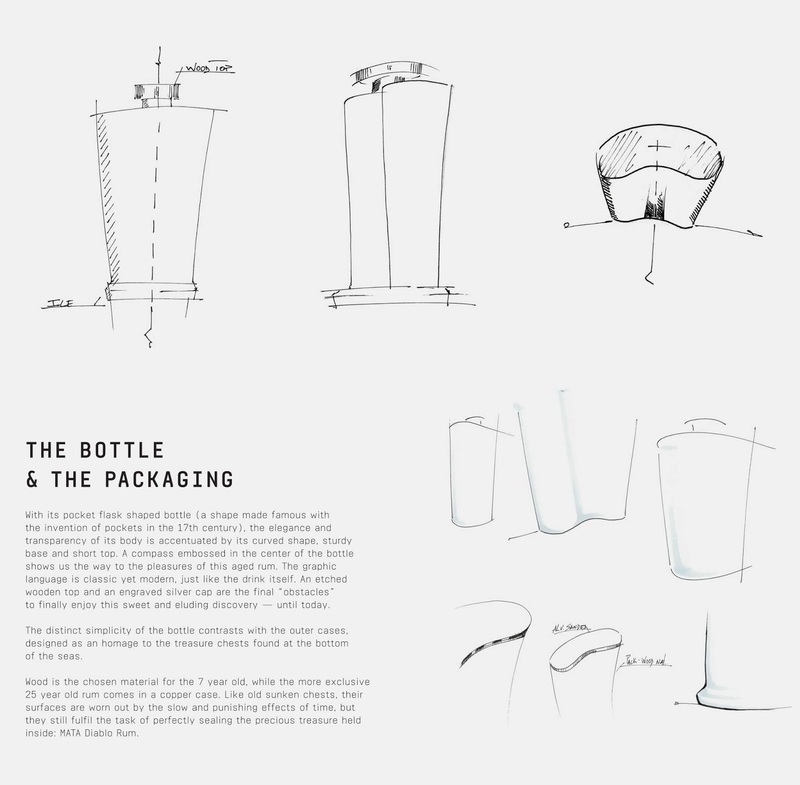 The distinct simplicity of the bottle contrasts with the outer cases, designed as an homage to the treasure chests found at the bottom of the seas. 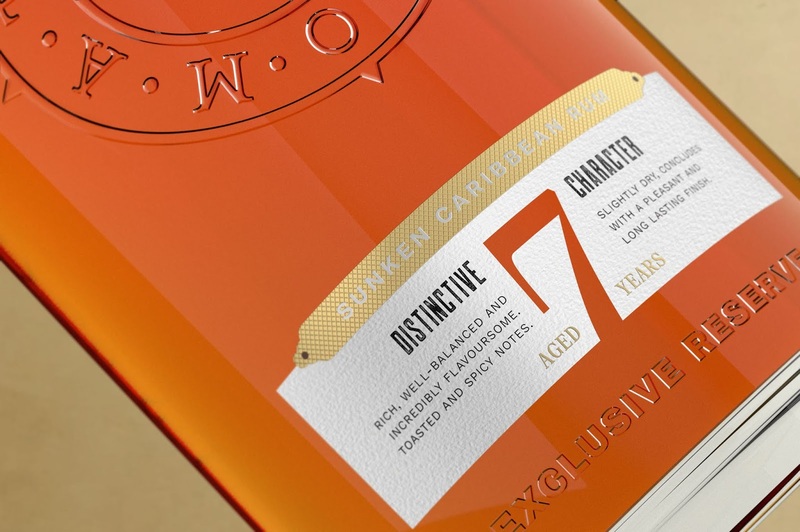 Wood is the chosen material for the 7 year old, while the more exclusive 25 year old rum comes in a copper case. 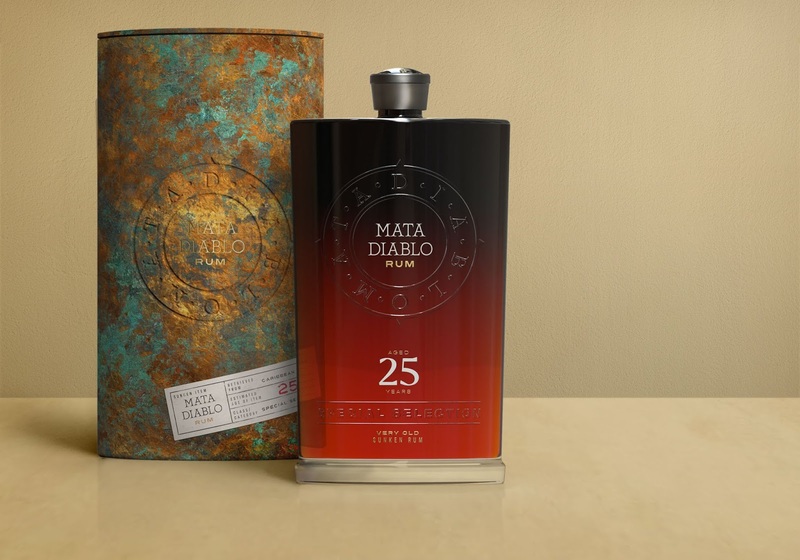 Like old sunken chests, their surfaces are worn out by the slow and punishing effects of time, but they still fulfill the task of perfectly sealing the precious treasure held inside: MATA Diablo Rum.